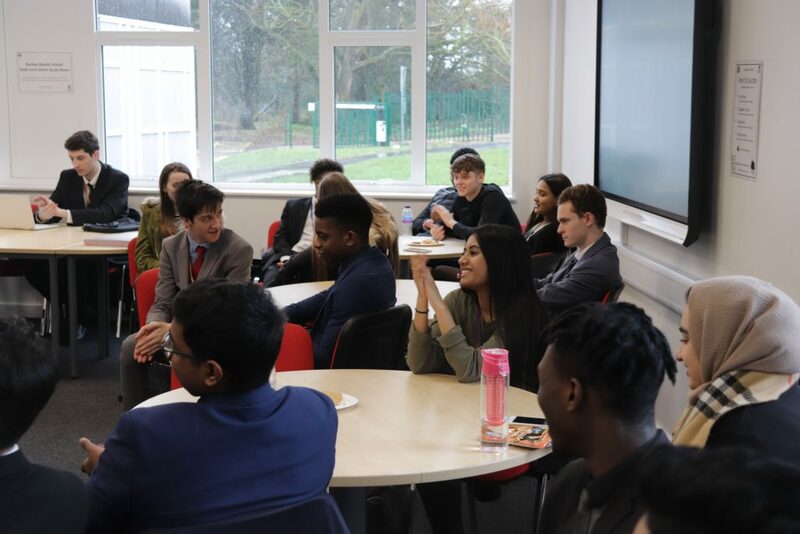 On Friday 8th February, sixth form students were delighted to welcome two Bushey Meads alumni. Jayne and Julie – who studied at Bushey Meads from 1978 to 1983 – spoke of their fond memories at Bushey Meads and their experiences in work since. Jayne talked about her varied career as a manager for Dixons and later in the NHS. 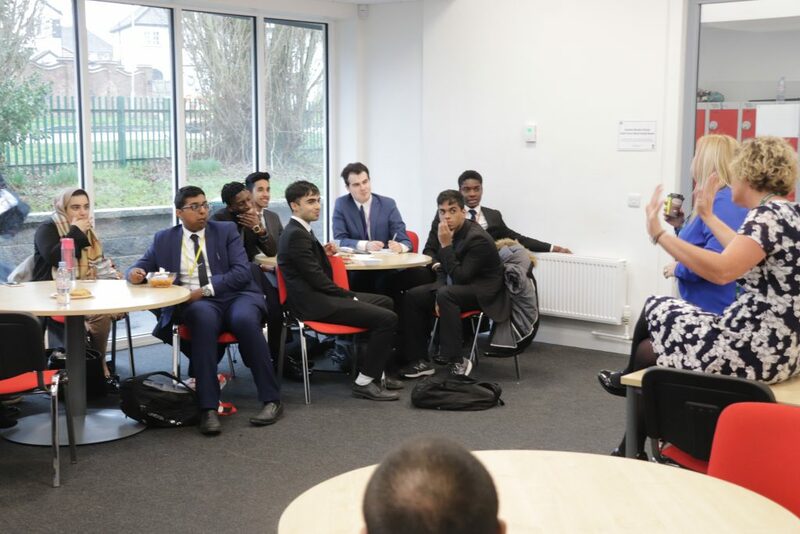 She recalled being told that without formal post 16 qualifications she would never become a senior executive, and how she proved this wrong, telling students “don’t ever let people tell you that you can’t do anything”. Julie also went straight into work after school. Beginning at a Bushey greengrocers, she soon discovered her passion for customer service. Julie went on to work at John Lewis in Brent Cross, and is now a staff trainer, responsible for the training of over 100 John Lewis and Waitrose stores.